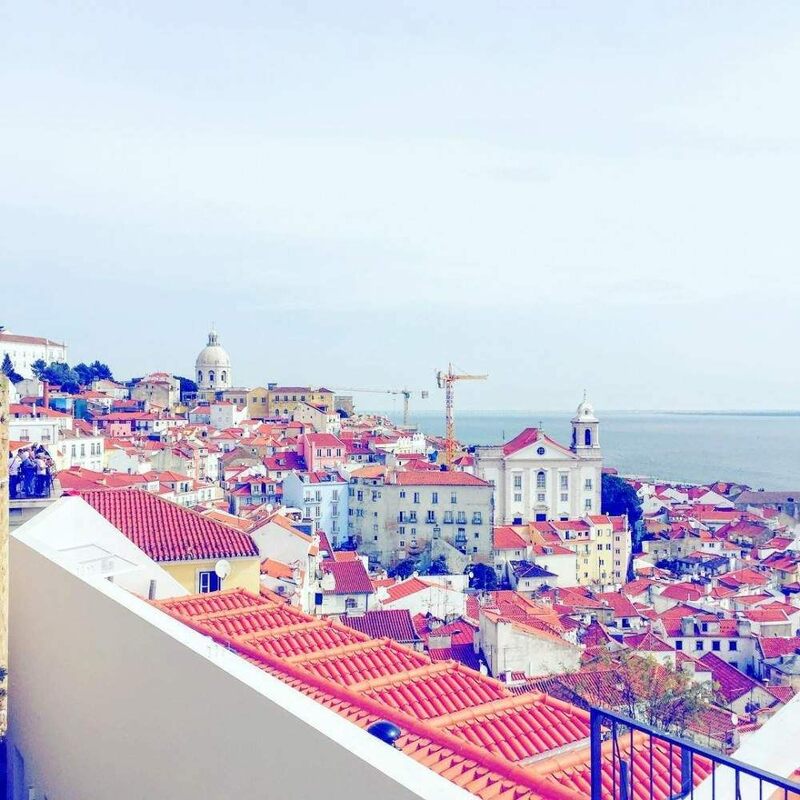 You've just planned a weekend away to Lisbon and wonder if that's enough time to visit the city. Yes plenty! Here are some tips to cover everything in 2 full days. Looking for a private room with great breakfast, comfy bed, perfect location and delicious breakfast? YES! That's what it's called; Yes Hostel Lisbon . They welcome you with a cherry shot and are super flexible with hours of check out as well as very friendly 24/7. Plan your day walking up and down the hills from one viewpoint to another. Start at Praça do Comércio and 25 de abril Bridge and follow the tourists up to Miradouro da Nossa Senhora do Monte, Santa Luzia, Portas do Sol and de Graça. Plenty of stops where you can see the tram going down, as well as groups of tourists following their guide. The tram is very authentic and still working. Take it to go to Belem and eat some delicious pastries. The famous "custard tart" just warm enough to stay crispy in your mouth at first bite. After a long walk around the city and some coffee tasting in the narrow streets, it's time for a well-deserved lunch in terrasses. 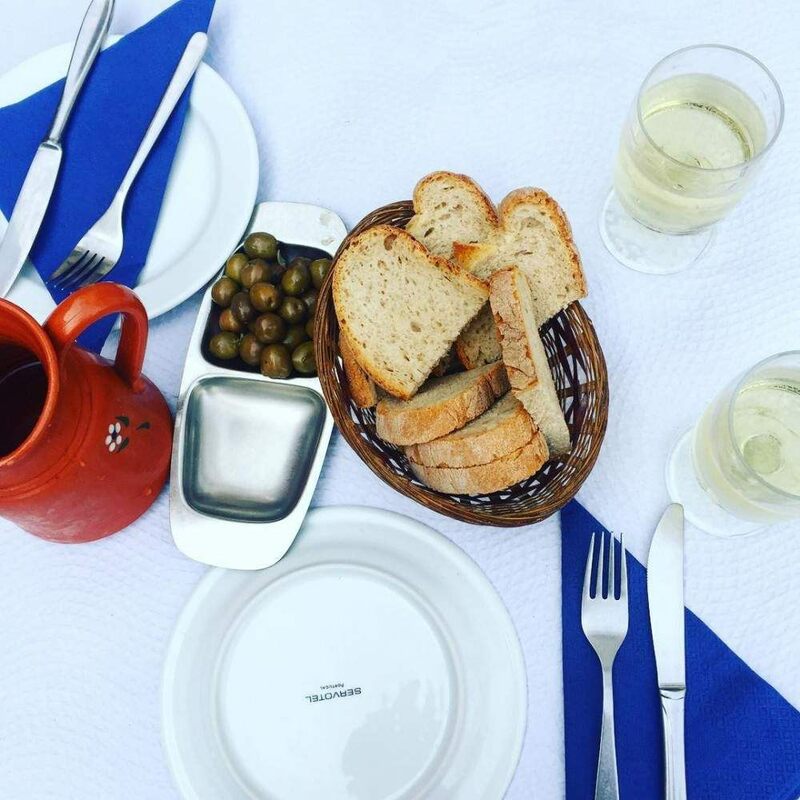 Stop by Parreirinha de Alfama and ask the waiter for the best seafood on the menu. We had the catch of the day and its vegetables with house white wine and olives. Couldn't have been happier! Lisbon has lots of touristy and pricy places so I would recommend looking up the menu before sitting down! Day 2, if you venture to LX Factory, stop by A Praça in LX Factory (the East London version of Lisbon...#hispter) and order the Octopus carpaccio with a Sangria. Mamaaaamia you will not regret it! Located in the neighborhood of Cais do Sodré, Time Out Market is THE place for foodies. In this big hall of the Mercado da Ribeira, you will find all the Portuguese specialties from the best chefs in Lisbon. You can order at several restaurants stalls since portions are small and made to taste different dishes, then you can seat in the banquet tables to enjoy your meal. This small restaurant in Alfama is the perfect definition of its name which means “Oh my God”. In a jazzy atmosphere, you will discover the best of modern Portuguese cuisine. 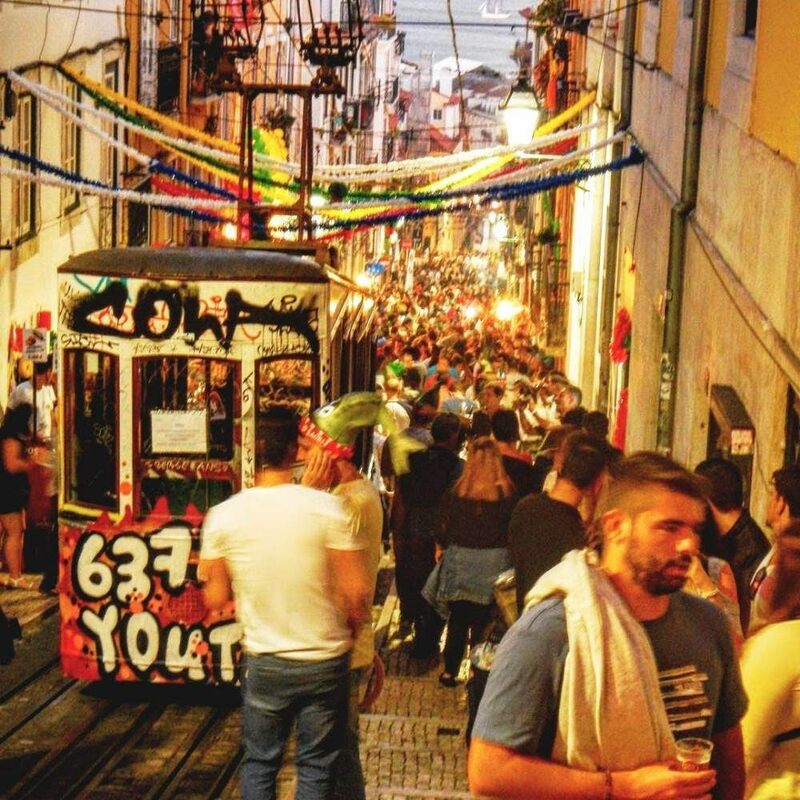 No need to look up for one bar in particular, just head towards Bairro Alto you'll be just fine. The entire Lisbon gathers every night in this area and you will find plenty of bars and restaurants. We went from one bar to another meeting people from around the world. Our best memory was a random bar serving Tequila Shots in crystal glasses for 1€...don't mind if I do! Dedicate your Sunday to the markets starting with Feira da Ladra (huuuuuge) and LX Factory Sunday Market (hip and trendy!) I got the best pair of shoes and sunglasses from both markets so I definitely recommend these two...Very cheap on top of it! Only 25km from Lisbon, Sintra is often referred as the Glorious Eden and it’s definitely true. This romantic village is home to several palaces. 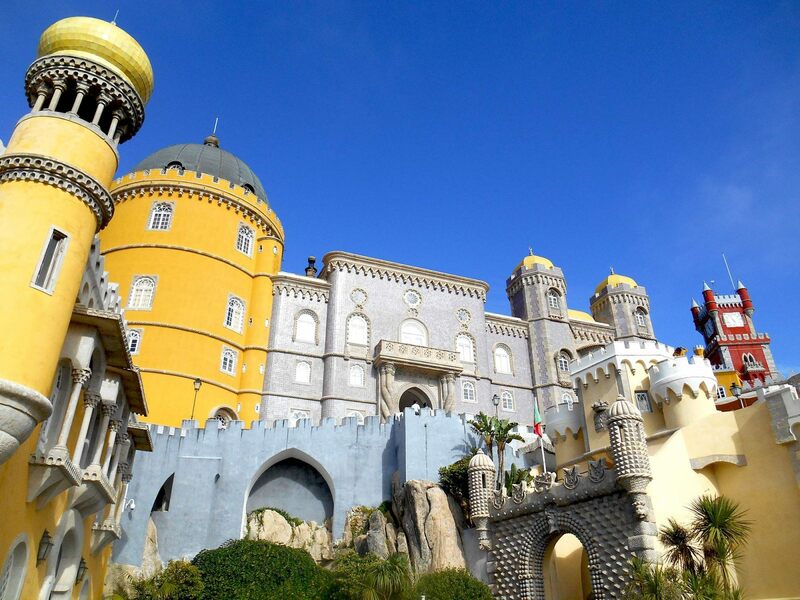 The most beautiful might be the National Palace of Pena. On the top of a hill stands this incredible and colorful palace that will make you feel like in a fairytale. 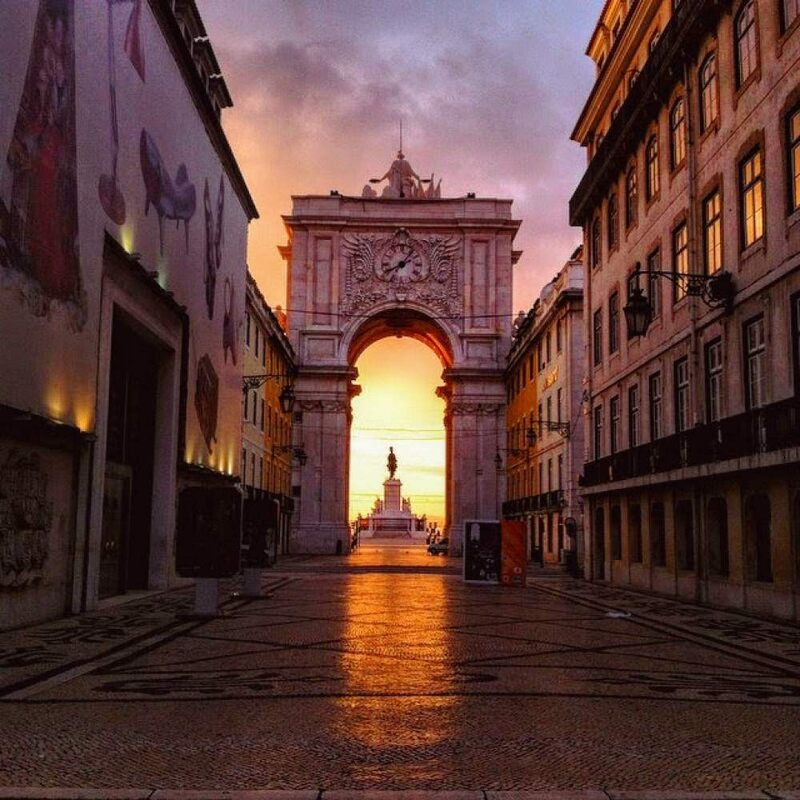 To go there you just have to take the train from Rossio station. It’s a 50-minutes journey and costs 4€30 (return ticket). Trains every hour. Well known for its villas and expensive houses, Cascais remains a very popular destination since it’s the closest beach to Lisbon. There you will find beautiful azulejos fronts, nice streets with small trendy shops, and amazing coastal walking trails. 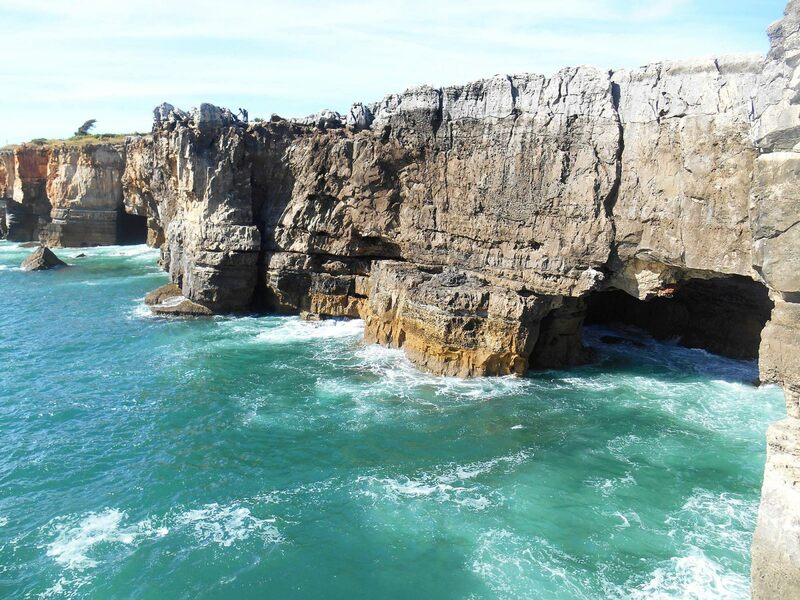 Don’t miss Boca do Inferno, an impressive cliff formation on the seaside. To reach Cascais, take the train from Lisbon Cais do Sodré station for 4€30 (return ticket). Trains every hour.